Reflections on the evolution, nature, principles and structure of Hinduism. Known as Sanatana Dharma, or the Eternal Dharma, Hinduism holds a unique place among the major religions of the world: it was not founded by any person or persons. It has no dogma or belief system, but rests on universal and eternal principles which have evolved from the spiritual life and experience of all the people of India for over 5,000 years. 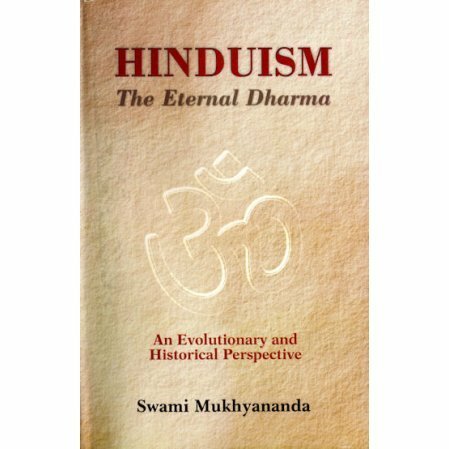 Swami Mukhyananda here acquaints the reader with some of the fundamental features of Hinduism with this thought-provoking study of its present relevance to mankind. Swami Mukhyananda is the author of many books including: Sri Shankaracharya Life and Philosophy; Om, Gayatri and Sandhya; and Vedanta: The Science of Integral Reality Vis-a-vis Modern Science.